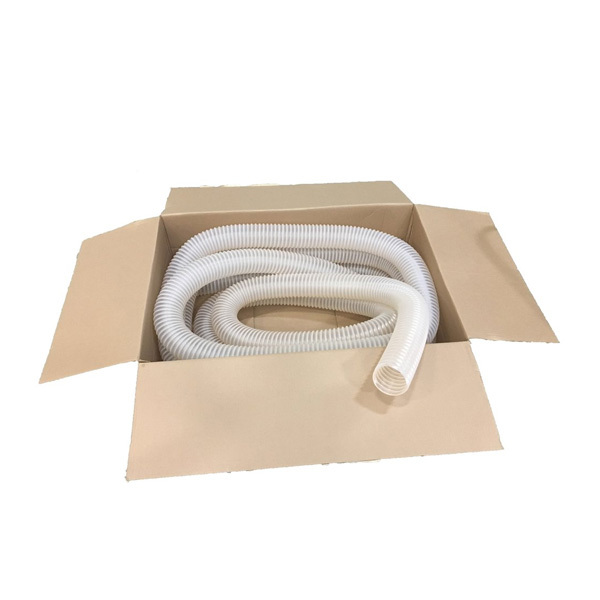 Clear colored 4″ diameter x 50′ steel reinforced polyethylene hose. Wire is .062‰ steel wire. Temperature range: -60F to 275F. Weight: .54lbs. per ft. Made for powerful vacuum applications. 23HP+ vac machines require heavy duty step-up hose, and this hose is up to the task.